The figure used for this unit is Pathfinder Battles figure from the Lost Coast set. The model name is Malagus Kreeg. Once per round, when Uzog destroys an opponent's figure, you may place a Skull Marker on this card. If you do, Uzog cannot move normally for the rest of the round. 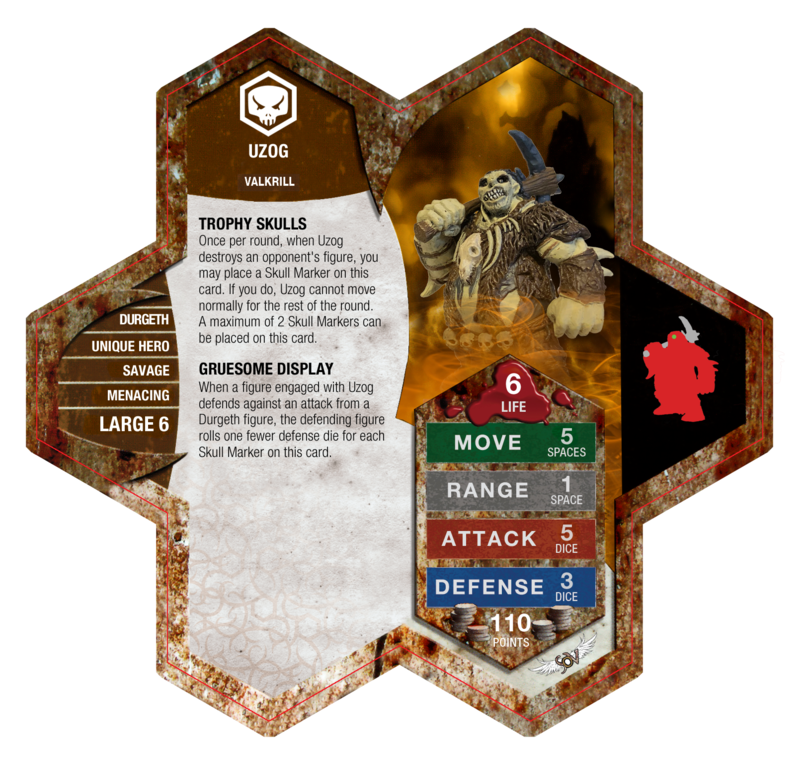 A maximum of 2 Skull Markers can be placed on this card. 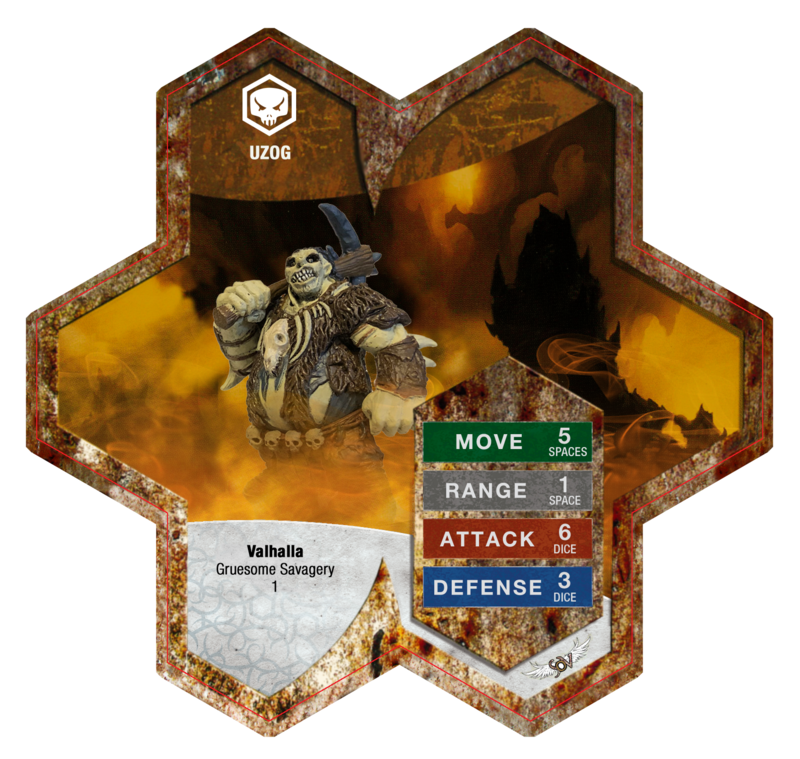 When a figure engaged with Uzog defends against an attack from a Durgeth figure, the defending figure rolls one fewer defense die for each Skull Marker on this card. As a Savage Hero, Uzog may benefit from the Durgeth Ravagers' activation synergy. As a Valkrill figure with a range of 1, Uzog can have his attack boosted by a Skull Demon. As Durgeth figures, the Durgeth Ravagers can benefit from Uzog's defense reduction to figures they are attacking.